With music alone, Coheed and Cambria has an insanely huge body of work. Factor into that the accompanying graphic novels The Amory Wars, and it’s simply mind-blowing. For a seasoned fan, it’s the definition of an immersive experience. But for the newcomer, it can be a little intimidating. That’s where we come in. Although we were already fans of the music, we hadn’t previously had much exposure to the novels. But with an extreme amount of interneting (and other research), we’ve managed to pull together a beginner’s guide to the Amory Wars. This is by no means the perfect summation, or even a CliffsNotes-worthy rendition. It’s more of a 60-second “elevator spiel” that provides a super-gritty synopsis of the storyline. Are some characters left out? Sure. 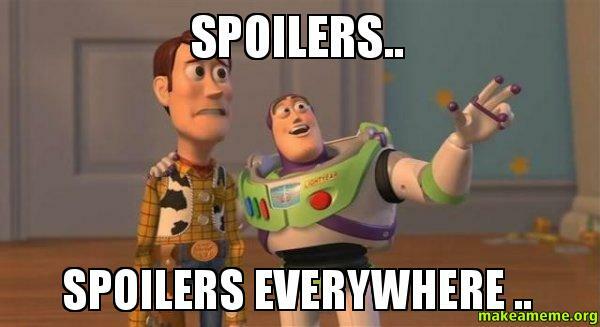 Is it full of painfully simplified spoilers? Oh yeah. Will a total n00b get the general gist? We hope so. And that’s the point. So without further ado, here’s what you need to know. All of the band’s albums (except the most recent) contribute to the Amory Wars universe. Here is the order of the albums, according to the story’s chronology. The story is set in Heaven’s Fence—a collection of 78 planets held together by interconnecting beams of energy known as the Keywork. Wilhelm Ryan is the supreme leader of the Keywork; Mayo Detinwolf is his right-hand man. The KBI is a trio of IRO-Bots created by Leonard Hohenberger to fight Ryan’s army. They represent Knowledge (IRO-Bot named Cambria), Beast (named Coheed), and Inferno (named Jesse). Ryan, the leader of some planetary sectors, is killing those who threaten his reign; a resistance effort emerges. The KBI is created and begin traveling from planet to planet, destroying all that Ryan has created. In retaliation, Detinwolf kidnaps Hohenberger’s wife and demands he create a virus for Ryan that’s capable of destroying Heaven’s Fence. Hohenberger complies, yet locks the virus inside Coheed and Cambria, so Ryan cannot immediately use it. Hohenberger sets out to kill Deftinwolf, but he is killed instead. Following instructions left by Hohenberger, Jesse erases Coheed and Cambria’s memories, leaving them to think they are an ordinary couple. Decades later, Coheed and Cambria are living a normal life with their four children: Josephine, Claudio, Matthew and Maria. Ryan and Deftinwolf concoct a plan to murder the children in order to access the virus within Coheed and Cambria. Deftinwolf visits the family and tricks Coheed into believing that his children will cause the destruction of all humanity. Coheed decides to kill his children—except for Claudio, who has gone missing. Years later, Claudio is hiding out on a slum planet. An angelic being, Ambellina, is sent to protect and guide Claudio to fulfill his destiny as The Crowing—entrusted to destroy the Keywork if/when God’s plan is disrupted. The pair leaves the planet with a pilot, who ends up being a deranged killer. The pilot tries to deliver Claudio to Ryan and kill Ambellina, but Claudio overpowers him. Claudio attempts to use mind control to make the pilot fight and die in the persisting resistance efforts, yet he falls short and flees. Meanwhile, the author of this entire story—The Writer—is going insane over a bad breakup. His insanity manifests in a demonic hallucination of his childhood bike—Ten Speed—who convinces him to kill off Ambellina, whose character is based off of The Writer’s girlfriend. The Writer enters the story, tells Claudio about his purpose as The Crowing, and kills Ambellina. This prompts Claudio to destroy The Writer’s universe by burning the star at the center of the Keywork that holds everything together. The Afterman albums are technically a prequel to the Amory Wars, yet tell a tangential story within the same universe. Sirius Amory – scientist who discovered the Keywork – travels through space to venture into the Keyword and is immediately possessed by a series of deranged souls. By seeing their experiences, he discovers the Keywork is actually purgatory. Back on his home planet, time is passing more quickly. His wife believes him to be dead, grieves and moves on. When Sirius eventually returns home, his wife announces she is pregnant with another man’s child. This news shocks Sirius, and he crashes his car—killing his wife. He returns to the Keywork to help his wife’s soul let go of her grief and pass peacefully onto the next plane.